Chopper Board is not new in Penang. 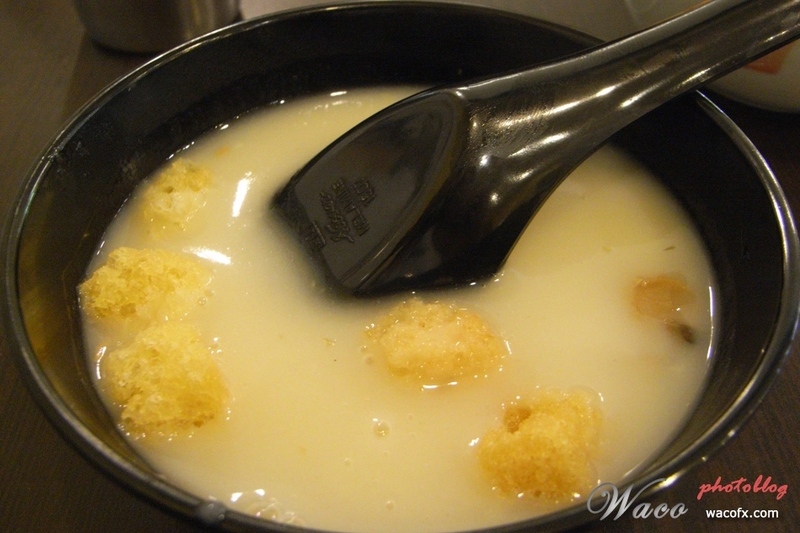 One of its famous dish is its Chopper Soup (RM2.50). 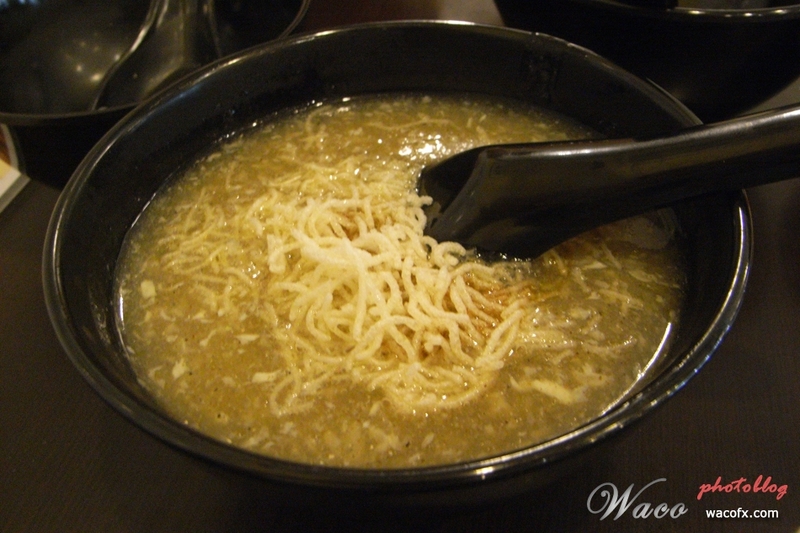 With added vinegar, the Chopper Soup tastes like shark fin soup. Yum yum~When Bukit Jambul Complex was still popular, I used to enjoy my lunch at Chopper Board there. One day, I was waiting there until spider built web on my leg and the waitress never came to take my order. Since then, I never visit that deserted place. After few years, I paid my first visit at the branch in Queensbay Mall. 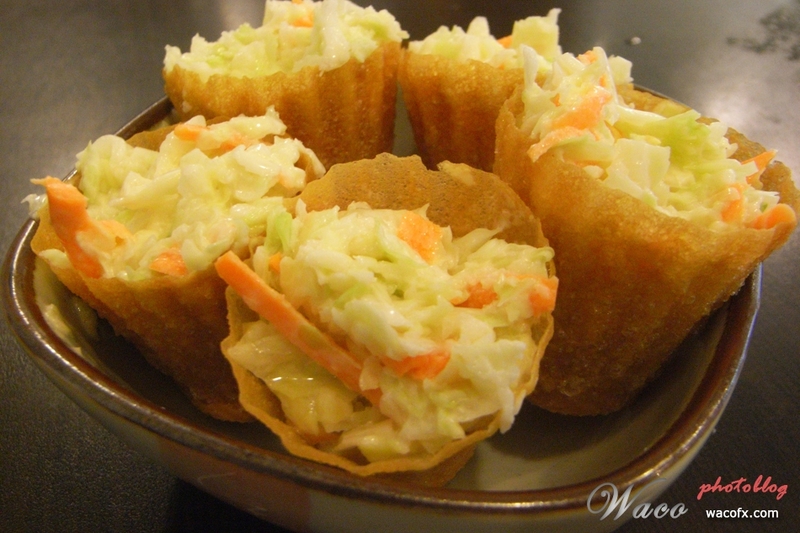 Another dish I like is Salad Cup, which consist of edible cups filled with coleslaw. You can order it separately, or now comes free with Satay Bread (RM5.20). 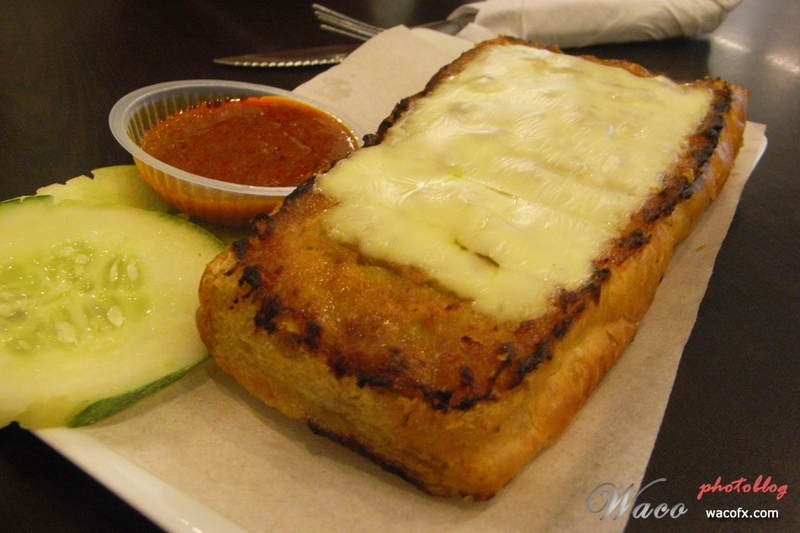 The later is basically bread stuffed with chicken satay and topped with a slice of cheese. Tastes good with its spicy satay sauce. I hope they will provide more of its sauce. I order one new dish as stated in the menu – Baked Rice Lunch Set (RM10.80), which comes with a mushroom soup and a drink. 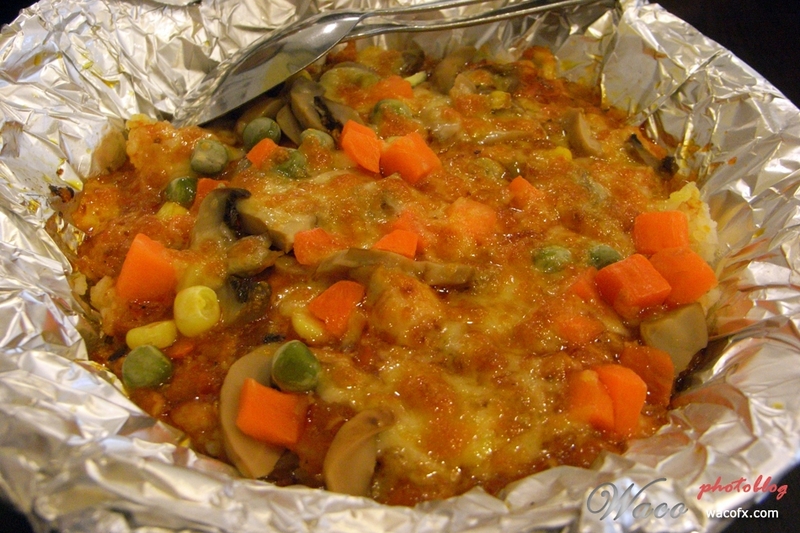 Wrapped in aluminum foil, the baked rice is topped with carrots, green peas, mushroom, and chicken chunks. It tastes good with generous cheese but the chicken is too little for me. 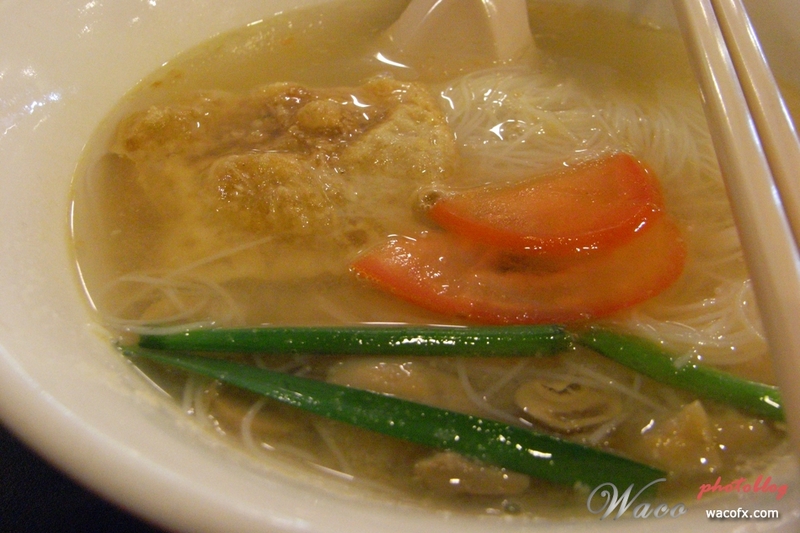 Finally, my friends ordered Fish Rice Noodle Soup (RM6.30). According to them the meal is just average. As a whole, Chopper Board is a place where you can enjoy some light meals. Definitely it has its own specialty on food but the service can be better, especially during peak hour.